There’s a new buzzword in the health and wellness field, and one of the latest is collagen powder. A high-protein dietary supplement, collagen powders promote gut health and keep your bones healthy. These protein powders also make your skin, hair, and nails shine. Let’s take a look at some of the best collagen powders out there. 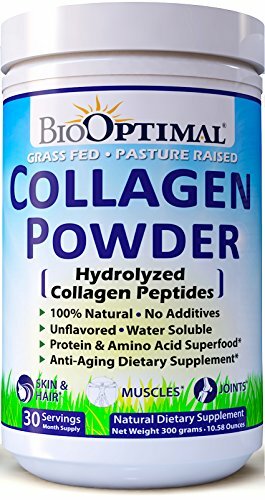 Made with hydrolyzed collagen peptides from bovine hide, this collagen powder is extremely high quality. This powder is an easy-to-mix formula that promises to support the health of the joints, bones, skin, hair, muscles, and nails. If you are someone who goes to the gym regularly, or on a hike or out for a run and get joint pain occasionally, this collagen supplement helps you go through that. It does not take long for this peptide powder to show its effect. When I first started using it, my elbow and joint pain disappeared in the first week. Also, as I started getting into ketosis and felt a lack of water in my body, this protein supplement helped protect the dryness of my skin while my hair also started to grow faster. This powder can also be mixed with coffee, tea, soup, water or any smoothies that you love. One scoop a day and you’re all set. This collagen powder has some of the best ingredients, making it an ideal choice for a powder-based supplement. It’s easy to digest, has no off-putting taste or odors, and is easy to mix with your favorite beverage. There are no fillers, and the product is completely free of synthetics. 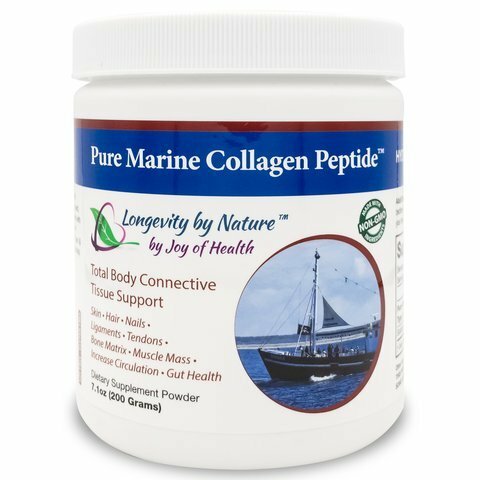 Pure Marine Collagen Peptide Powder is made from wild-caught Atlantic fish collagen through an enzymatic hydrolysis process which is essential for maximum bioavailability and absorption. This product is hypo-allergenic, kosher, and halal, making it a great source of protein for everyone. In addition to its 100% pure collagen source, this collagen protein powder is also high in potent glycine, hydroxyproline, alanine, and arginine. This product is one of the best collagen powders on the market and is so because of its hydrolyzed formula. 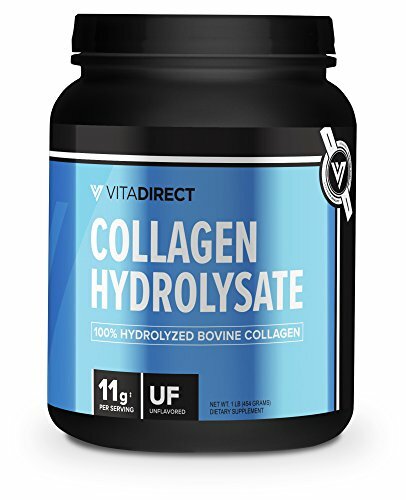 Derived from completely natural, hydrolyzed collagen, this product has been designed to provide a quick and easy way to rebuild joints, muscles, and skin. Loaded with 18 different amino acids, VitaDirect’s Hydrolyzed Collagen helps to revitalize the entire body from top to bottom. With over 11g of collagen hydrolysate per serving, you’ll be hard pressed to find another product that offers as much. The powder is odorless, tasteless, and blends easily into any beverage of your choice. With 41 servings in a container, you’re getting plenty of bang for your buck. Bioavailability is a huge deal when it comes to collagen powders. After all, you want to use a product that allows your body to use as much of the collagen peptides as possible, and this product delivers. Thanks to the company’s advanced hydrolyzation process, large collagen molecules are hydrolyzed into much smaller peptides to increase bioavailability. 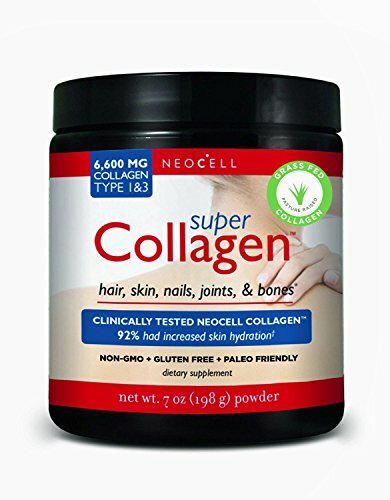 NeoCell Collagen has been clinically tested to show an increase in skin hydration and health, and increased joint, muscle, and tendon strength. You’ll get 6,600mg of collagen per serving, packing plenty of punch with each scoop you mix. This powder is easy to blend and has no foul odor or taste. Just mix it up and enjoy the benefits that collagen can bring to your body. Again, bioavailability is a big factor in collagen powder products, and this product promises to deliver. BioOptimal Collagen Powder has no artificial ingredients and is easily dissolved in both hot and cold water. Since this collagen powder is agglomerated, it is able to quickly and easily blend in with liquids of any temperature. You can even add this collagen powder to baked goods for an added boost of protein. This product is loaded with amino acids and protein and offers 9g of protein per serving for optimal muscle growth and recovery. This is a great and affordable collagen protein product that can help those looking for solutions for joint pain and skin health. It’s one of the three macronutrients that our bodies need to survive, with the other two being carbohydrates and fat. Protein is essential for building muscle mass and is composed of amino acids, and collagen is a type of protein that our bodies naturally produce. We can also supplement our bodies with collagen, especially if our bodies aren’t making enough of it for use to take advantage of its benefits. Collagen makes up about 30% of the proteins in the body. They’re strong structures that are found in several components of the body, including bones, ligaments, and tendons. Collagen is what helps to keep the skin tight, firm, supple, and rejuvenated. It’s what helps to renew skin cells and keep the skin looking fresh and healthy. That’s why you’ll often see many skin care products advertising their collagen component. Collagen also plays a role in joint health because of its high concentration of four specific amino acids: proline, glycine, hydroxyproline, and arginine. When combined, it can create a powerful antioxidant in the body. This protein truly is a vital one and can provide the body with a host of benefits. Collagen is basically what keeps everything together in the body and is crucial for the optimal functioning of the body. Because it is a predominant component in the body’s connective tissue, collagen is able to maintain the integrity of muscle tissue, tendons, bones, and skin. Collagen also plays a role in sending out important signals to cells in the body which can help to alleviate inflammation and repair damaged cells. Unfortunately, the amount of collagen that is produced in the body decreases with age, which is why it’s a good idea to supplement the body with collagen supplements, including collagen protein powder. Many people – particularly those leading a healthy or active lifestyle – incorporate protein powders into their daily diet in an effort to boost their protein intake, particularly after workouts. But in addition to traditional protein powders, collagen powders may offer a little something different. The biggest difference between collagen and whey protein powders are the amino acids. Collagen is super high in amino acids proline and glycine. When combined with glutamine and cysteine, glycine can be effective at supporting glutathione production, the body’s most powerful antioxidant. Glycine is also involved in stimulating the production of stomach acid, which helps to improve digestion. Like other types of protein powder, collagen protein powder can be mixed and blended with water, milk, or other beverages. It can also be combined with fruit or yogurt to create a protein-rich, nutrient-packed drink that can give your body a boost in collagen-rich protein. Anyone who leads a very active lifestyle knows that vigorous workouts can leave them feeling sore and sometimes even in pain. But you can effectively speed up recovery time between bouts of exercise. Protein from collagen can speed up the time needed for muscles, tendons, ligaments, and joints to recover after physical activity. Studies have shown that collagen plays an important role in regenerating the flexibility and strength of torn muscles and is necessary for the healing of connective tissue and muscle injuries. The rate of synthesis in connective tissues has been shown to be much higher immediately after an injury, making collagen protein powders a great supplement to include in an active lifestyle. Collagen powder makes an ideal post-workout meal thanks to its high amino acid content which can support the body’s protein requirements following physical activity. Collagen is made up of 20% glycine and 8% arginine, which are essential amino acids required to build creatine, a crucial component for muscular contraction. As such, athletes can boost their performance by supplementing with collagen protein powders. Reduces joint pain and stiffness. Pain and stiffness in the joints can be debilitating and can minimize the frequency and intensity of workout sessions. But collagen can help with that. Studies have shown that collagen supplementation can effectively reduce joint discomfort. Researchers have discovered that collagen can improve the strength of the tendons, ligaments, and joints, which are important for protecting against injury. Protein is known to help people feel fuller for longer, which is important for those seeking to maintain or lose weight. But collagen has been found to be more satiating than other protein types so less food needs to be eaten to feel satisfied. In fact, studies have shown that people who take collagen supplements eat 20% less food at their next meals compared to those who eat other types of protein. What to Look For in Collagen Powders? There are clearly plenty of benefits of supplementing with collagen protein, especially for those who lead an active lifestyle. But how do you know which collagen protein powder is best? 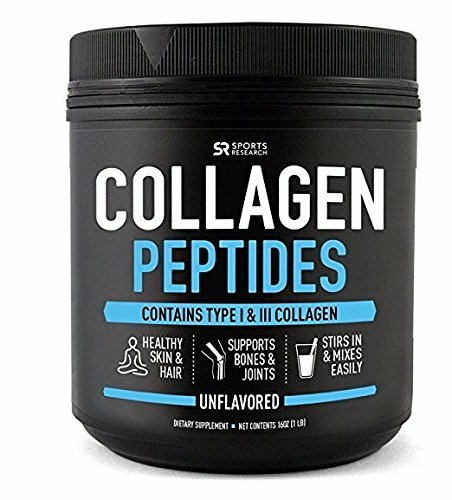 Potency – There may be a lot of information out there about the proper dosages of collagen, but you’ll find that most agree that a minimum of 7,000mg per serving is best to see results. When searching for collagen powder products, look for the highest concentration per serving. Ingredients – Just like any other product you may be shopping around for, ingredients matter. While taking collagen on its own can offer amazing effects, the other ingredients play a crucial role as well, especially when considering the synergistic effects of all ingredients combined. The ingredients that work best with collagen include amino acids, hydroxyproline, ceramide, vitamin C, and hyaluronic acid. Look for these ingredients in a collagen protein product. Collagen source – You’ll find collagen from a variety of sources, including porcine, bovine, and marine, the last two of which are considered superior. If you can find collagen powder products that are derived from bovine or marine sources, you’ve got a winner. Bioavailability – The term “bioavailability” refers to how much of the actual active ingredient is absorbed into the body when consumed. In this case, that would be collagen. This is an important factor to consider, particularly when assessing the best supplements. Bioavailability determines how effective the collagen is in your body, so the higher the bioavailability, the better. When reading labels on products, look for those that advertise high bioavailability for maximum absorption. Types of collagen – The body has 28 types of collagen, but different types of collagen are better for different reasons. You’ll usually see products containing either type 1, 2, or 3 collagen. Depending on what you are using collagen for, consider looking for the type of collagen that each product contains. As good as collagen protein can be for the body, can it induce any negative side effects? Collagen powders are usually safe for adults when taken in appropriate doses. However, there is not enough evidence to suggest its safety for pregnant women or mothers who are breastfeeding. In this case, it may be wise to avoid collagen protein powder. High calcium levels – Some collagen sources come from marine life, which is high in calcium. This can result in a significant increase in the calcium levels of the user, and too much calcium in the body may cause constipation, nausea, bone pain, and fatigue. Hypersensitivity – This can occur as an abnormal response to allergens. Collagen powders that come from various marine sources can cause allergic reactions, which is why it’s important to understand what your sensitivities are and purchase supplements that are void of any allergens. Collagen protein definitely offers the body plenty of benefits during the keto diet. These protein powders are also easy to incorporate into a healthy lifestyle. While other variations of protein powder certainly have their place, you may want to consider adding collagen protein powder into the mix to give your joints, muscles, skin, hair, and nails a jolt for optimal health.